Parachute's CEO sat down to chat with Laptop & Smalltalk's founder about the move, from one female entrepreneur to another. What do you get when you pair high quality design with the promise of a good night's sleep? You get Parachute, a modern bedding essentials brand with California cool and direct-to-consumer pricing. 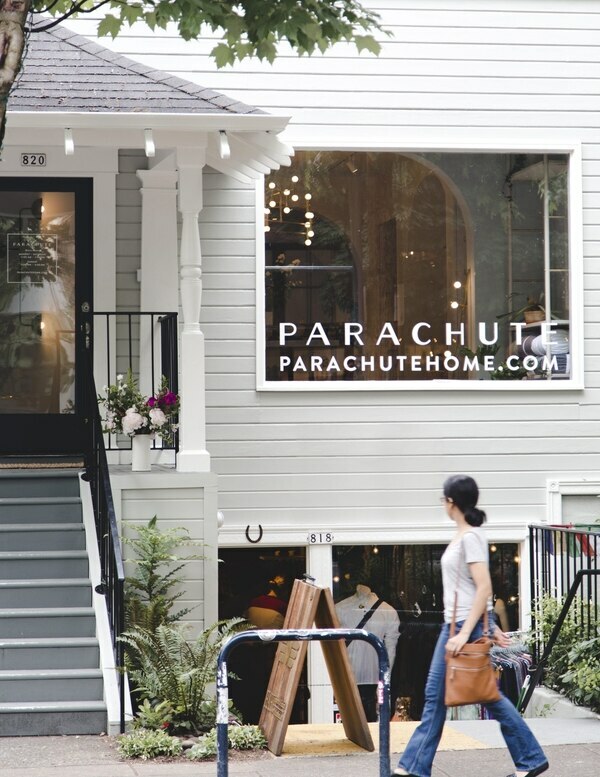 Parachute recently opened its second brick-and-mortar store in Portland, on Northwest 23rd Avenue – an area known for its chic retail lineup. 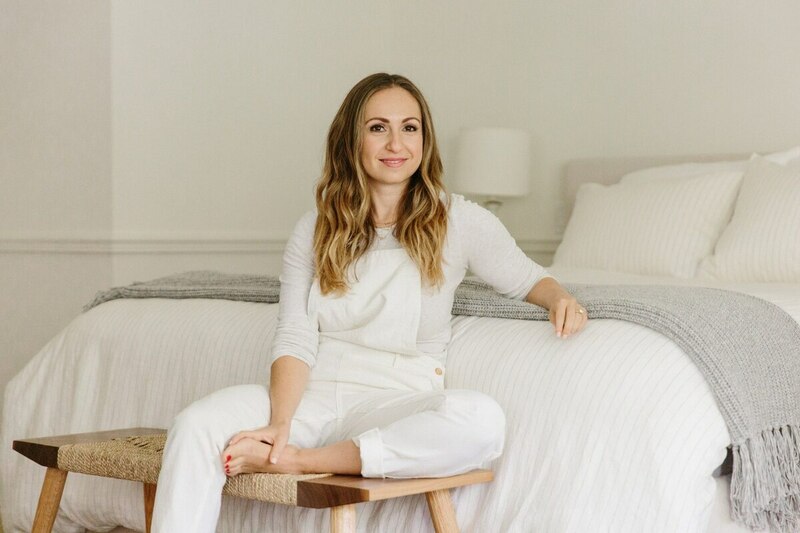 Laptops & Smalltalk founder, Brittany Sierra, connected with Parachute founder and CEO, Ariel Kaye, about entrepreneurship and why a bedding startup from Venice Beach decided to make the Rose City its second home. Laptops & Smalltalk: Talk to me about the initial inception of Parachute. Where did the concept come from? Ariel Kaye: Years ago, while traveling in Italy, I found myself in a picturesque hotel on the Amalfi Coast. After a long day, I climbed into bed and discovered the softest, most sumptuous sheets I’d ever encountered. When I returned home, I went on a quest for similar sheets, but I couldn’t find a single brand that was high quality, affordable or easy to buy. There was a void in the bedding market – and I’d never realized it until then. Because home decor and interior design had always been interests of mine, the idea of Parachute was a natural fit. Plus it was an opportunity to contribute to others’ wellness. I was inspired to create a brand that helped people start and end their days feeling their very best! L&S: What inspired opening a second location here in Portland? AK: Portland has experienced tremendous growth in the past decade. It’s quickly becoming the “it” place for millennials to move, thanks to a thriving creative community. Our commitment to quality and craftsmanship align with Portland’s sensibilities, and we’re thrilled to establish roots in a city where design is truly celebrated. Portland is also known for its embrace of the outdoors. There is a strong focus on getting outside to hike, bike and explore – and I’d like to think that Parachute offers a little comfort for when you return home afterward. L&S: Portland values its creative community. How does Parachute add to that conversation? 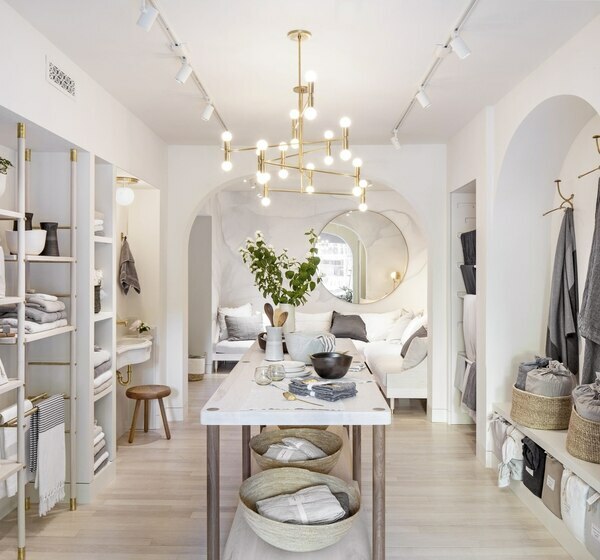 AK: The Portland store was custom designed by the local firm, Jessica Helgerson Interior Design. Their appreciation for historical architecture and our modern approach to merchandising made them the ideal partner. They made a concerted effort to maintain the integrity of the Victorian storefront, keeping with the area's landmark homes. We also decorated the store with the work of Portland-based artists. Anna Korte created a delicate mobile, also Parachute-like in its shape, to add sparkle to the space. Plus we're in great company on this street, surrounded by some of the best coffee, food and retail in the city. L&S: What are some of your favorite spots in Portland? 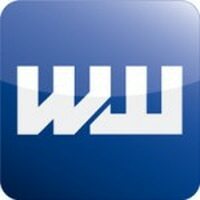 AK: WM Goods – My favorite store in Portland. This stylish boutique has everything from beautiful clothes and shoes to lifestyle goods. I bought three items on my most recent trip, and they've already become staples in my wardrobe. P.S. The owner, Whitney Goodman, is the coolest! Alder and Co. – This perfectly curated shop is brimming with beautiful clothes, accessories, textiles, paper and even flowers. Alder and Co.'s florist, Hilary Horvath, arranged the flowers for our opening party and they were stunning! Frances May – Frances May is the store I wish I could shop every day (and without having to look at price tags). This high-end clothing boutique carries designer duds for both men and women. The labels they stock are directional and hard-to-find – and everything is beautifully merchandised. Tusk – Tusk was designed by Jessica Helgerson Interior Design, who also did our Portland store. The restaurant is breathtaking and the food is sublime. Do not skip on the chickpea fries! L&S: What role does interior design play in your personal life and how does it impact Parachute? AK: I’ve always been obsessed with interior design. Prior to launching Parachute, I had a design blog. Family and friends were always asking for my help in decorating their homes! My personal aesthetic doesn’t differ much from that of Parachute’s. Our unfussy style and neutral color palette are inspired by the natural beauty of Southern California, where I grew up. They also help to create a cozy, relaxing space. L&S: The idea of modern essentials has become very trendy over the years, but from your experience, how has building the Parachute brand impacted your own views on what modern essentials are and what the "modern lifestyle" really is? AK: We appeal to the modern shopper by offering timeless pieces intended to be layered, mixed and matched. Instead of focusing on shifting styles and trends, we design each item to complement our entire assortment of home essentials. It's a more holistic approach to design and comfort. Our mission is to be a part of the rituals in every area of the home – from the sheets in your bedroom to the towels in your bathroom to the table linens in your kitchen. L&S: How has your definition of this modern lifestyle impacted Parachute's key styles and design aesthetic? AK: At Parachute, we aren’t in the business of fast fashion. Instead, we are committed to providing the highest quality home essentials that only get better with time. We obsess over every stitch, fold and finish, and we stick to a natural color palette that transcends trends. L&S: What's next for Parachute? What can we look forward to seeing from you? AK: We’re bringing an experiential version of Parachute to more cities around the world through additional retail spaces. We want to be where our customers are. We’re dreaming big… but right now, we’re pretty excited to be celebrating Portland! Visit Parachute (820 NW 23rd Ave.) for the latest catalog, learn about about in-store events and personalized styling tips, and take a sneak peek at upcoming product releases and collections.